We are giving one lucky person the chance to win a magical Christmas Market Break for two to the enchanting city of Berlin, Germany! Known as one of the best Christmas Markets in Germany, Berlin is host to over 60 festive markets during the month of December. From the giant ice skating rink to the largest toboggan run in Europe this is by far one of the most entertaining times to visit this captivating city. Sample the traditional food stalls with some mulled wine and roasted chestnuts while wandering in the crisp winter air. To take part all you need to do is make a booking between now and the end of August then email us to be included in the draw. The more bookings the more chances to win – it’s that easy! 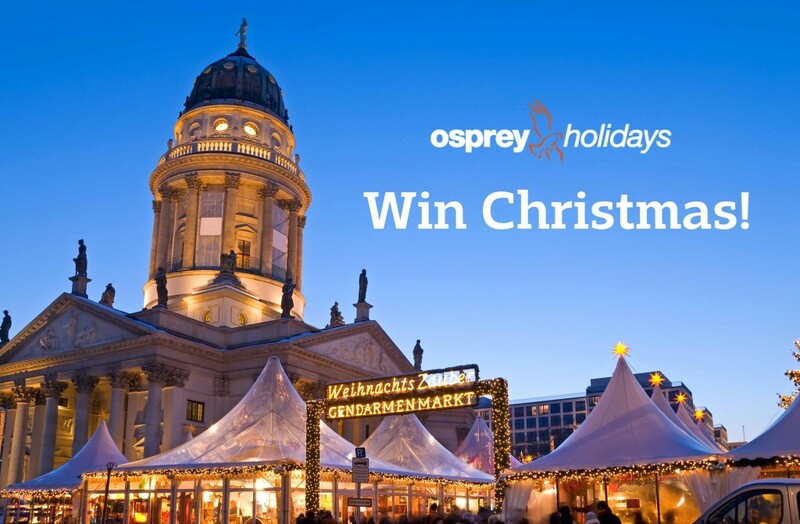 Send an email titled ‘WIN CHRISTMAS’ to marketing@ospreyholidays.com including the booking reference number by Wednesday 31 August 2016 for any booking(s) made between 1 July and 31 August 2016 to be with the chance of winning this fantastic Christmas Market Break. The prize must be taken during the dates set by Osprey Holidays, who reserve the right to decline specific departures dates. The prize must be taken between 01 and 31 December 2016.